Michael Springate’s The Beautiful West and the Beloved of God has been shortlisted for BC Book Prizes’ Ethel Wilson Fiction Prize! Winners will be announced on April 25th, 2015. Elena and Mahfouz meet in Montreal in the spring of 2008. That summer, however, Mahfouz doesn’t return from a trip to Cairo, and his father is picked up and held indefinitely for unknown charges on undisclosed evidence. No longer in contact with each other, Elena and Mahfouz must separately come to terms with their historical situation, preparing for a future shaped by forces they struggle to understand. The best and bravest book I’ve read in years. 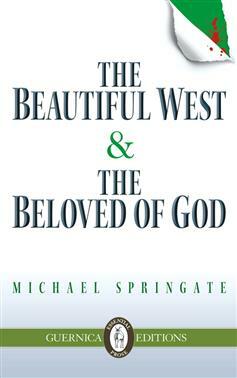 The Beautiful West & The Beloved of God is on par with the moral voices of Dostoyevsky and Solzhenitsyn. This is an exceptional novel, set in Montreal and Egypt, that brings out the frightening turns in the tribal wars being played out all over the world. The author’s historical awareness amply supports a deeply personal and local story, giving it a global resonance. After extensive work in contemporary performance, Michael Springate’s interests have crystallized into The Beautiful West & The Beloved of God, a first novel that maps currents of world history as they coursed through Montreal in the first decade of the 21st century. 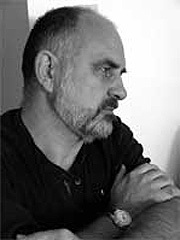 Born in Montreal and currently a resident of Vancouver, his produced writing for theatre includes Historical Bliss, Dog and Crow, The Consolation of Philosophy, The Geese Sonnets, Freeport Texas, and Kut: Shock and Awe. He is currently a dramaturg and Artistic Associate with Full Circle: First Nations Performance, a member of the Board of Directors of the Vancouver Latin American Cultural Centre, and a founding member of the film group Commercial Drive Productions. Tagged with BC Book Prizes, Ethel Wilson Fiction Prize, Finalists, Michael Springate, Shortlist, The Beautiful West and the Beloved of God.